McDonald’s has done it again! Bringing you and your phone to the next level of sharing an Iced Frappe! Until June 29th, you can FrapTap with your friends and family to receive 50% off any size Iced Frappe. What is the FrapTap? Is it a new dance move? A secret code knock? The FrapTap is a fun and engaging way to get 50% off any size Iced Frappé! It allows two people to share the coupons by “FrapTapping” their phones together. Simply follow the instructions below and you and your friend will each receive a 50% off coupon. The coupons expire after 24 hours and then you can FrapTap again. The FrapTap will run from June 17th – June 29th. Click here for video of how it all works! Please feel free to share this with your friends, family and community! 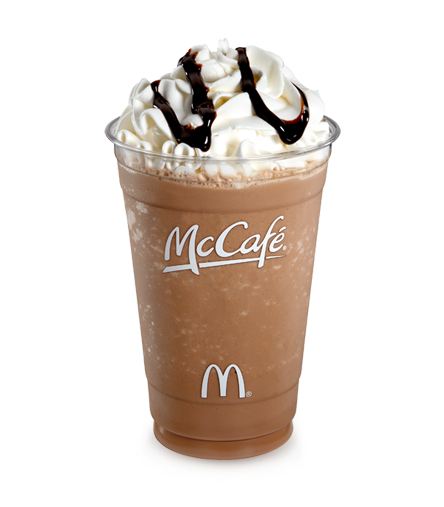 You can also use #Frappe on Twitter and Instagram to share your FrapTap moment. Who will Frap Tap with today?